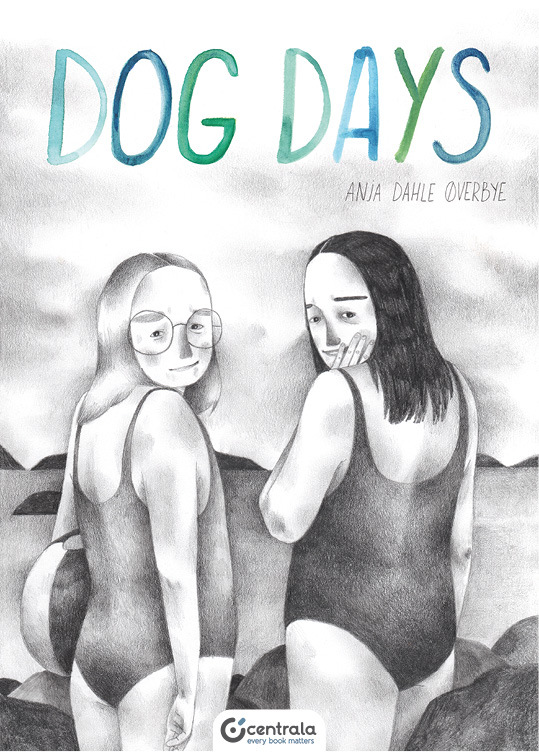 Anja Dahle Øverbye´s graphic novel Dog Days won the Norwegian Comic of the Year award in 2016. It is an impressive debut book that has drawn inspiration from North-Western Norway where she grew up. Dog days are a phenomenon taking place in late summer. According to folklore, the dog days are extremely hot, muck floats up to the surface of water, food goes bad and dogs may more easily go mad. It is at this time of year we meet Anne, who is mid-way between childhood and adolescence. The intensely stifling, sultry weather that summer affects her relationships with both her friends and family. Her best friend Marielle wants to hang out with slightly older Carrie. When the two of them strike up a friendship, Anne is left out. She is too young to go to the youth club, and too restless to find anything else to do. Can she and Marielle become close friends again? And what is she willing to do to make that happen? The images are sensitively portrayed in detailed pencil drawings and display keen insight into human nature. The scenery of Western Norway plays a central role in the story. Anja Dahle Øverbye (1981) has studied at KIB, Bergen Art School, and has a bachelor in illustration and visual communication from UCA in England. She now lives in Oslo, where she works as a creator of comics and as an illustrator.